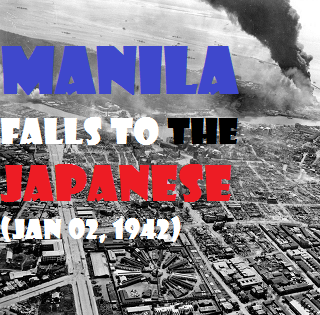 In the past of Philippine today of January 02, 1942 Manila, Philippines was fall to Japanese. TRIVIA II: In 1947 on the this day, the RFC, later DBP opened with 300 million to repair war damages and develop the economy. RFC was established on 1947 and reorganized into modern-day DBP or the Development Bank of the Philippines.